Happy Thanksgiving! I feel like Thanksgiving is like my birthday, you can eat whatever you want and no one can judge you for it. Don’t worry too much about over eating, it’s only a once-a-year event. In honor of Reception Thursday and our NYC Bride Event on Monday November 26 at the Metropolitan Pavilion, we’re showing you four photographers to capture every kiss, tear, and smile. The ultimate combination of classic and modern technological skills makes Dreamlife Photos & Videos photography exquisite and one-of-a-kind. Embrace their spontaneous picture taking style and imagination and your result is cherished images and memories that will last a lifetime. 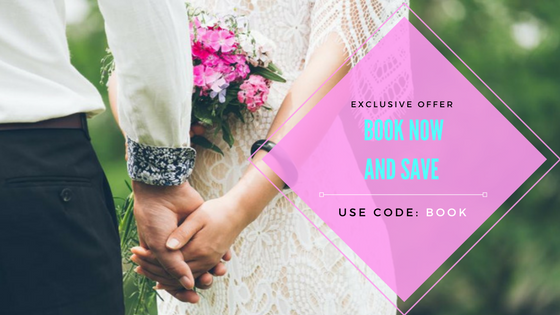 Their Wedding Package A starts at $1,390 and include coverage for 6 hours, online proofing for 6 months, one 8 X 12 inch enlargement and one 11 X 14 inch enlargement, and a free wedding consultation. Visit their website for all package options. Capturing moments at a cherished events like wedding ceremonies and receptions is a long-time passion of photographers at Rabenko Photography. They pride themselves as being “real” photographers despite the changing digital technology and utilization of natural elements such as lighting and the subjects they are using. Located at two offices in Manhattan and Woodmere, NY, they are able to photograph weddings across the tri-state area. Contact their website for a consultation today. Whether you need beautiful engagement photos or memorable photos of your ceremony and reception, Spelman Studios in Sayville, NY, is available across the tri-state area to capture every moment of your day. Using unique candid and photo journalistic style, Spelman choreographs their photos to your vision of your wedding day. With services like engagement sessions, videography, retouching, rehearsal dinner, and custom bridal albums, booking your event with Spelman is simple and guarantees quality service. Photo booths have been extremely on trend for all of 2012 and it’s easy to see why. They’re fun, inexpensive, and easy to use. Pro Foto Booth uses a good looking photo booth, as opposed to the ones commonly seen around the mall, and is executed by a professional photographer. It is beautifully elegant and fun to use at your reception. Get a quote and contact information by visiting their website today and we can promise fun,memorable, and unique memories at your reception. There is so many photographers out there, it is hard to decide who to use and who is skilled enough to capture your event. We trust the vendors we have shown you today and for more information visit our event to get to know them better!